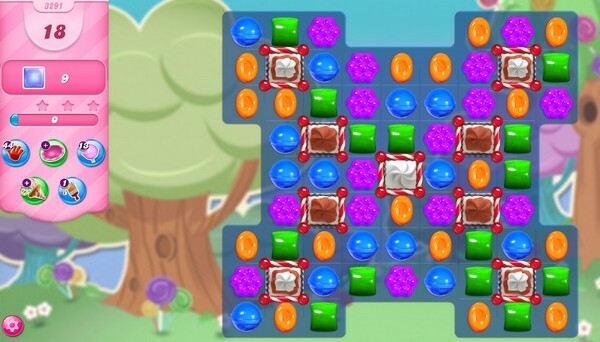 Clear all 9 jellies and reach 10,000 points to complete the level..
Only have 12 moves…not 18 like it says here. That is a pretty significant advantage. PLEASE SEND A “MIRACLE BOARD”. I REALLY, REALLY NEED HELP WITH THIS LEVEL. IT MAKES ME DIZZY JUST TO TRY AND FIGURE IT OUT. THANK YOU.